Question: If a player has the ball and is lying on the floor on his back with his legs extended, at what point does sitting up become and attempt to stand up? If the player does a sit up but keeps his legs straight--legal? Does a sit up but also pulls his knees up toward his chest--illegal? If there is no rolling motion, what is the referee looking for that would indicate an attempt to stand up and therefore travelling? 1) It is legal when a player while lying or sitting on the floor, gains control of the ball. 2) It is a violation if the player rolls or attempts to stand up while holding the ball. Begin a dribble while still lying/sitting on the floor. He/she is NOT allowed to make any attempt to stand up while still holding the ball. 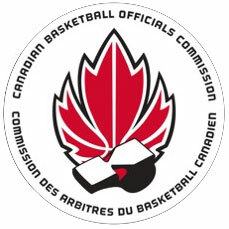 When a player gains control of the ball while sitting on the floor, FIBA recognizes that the rear end would be the player's point of contact with the floor (i.e. "pivot foot"). Having said this, however, the rear end may not be used as a pivot. A player in control of the ball while sitting on the floor may only move his arms, shoulders and trunk, but may not pivot on his/her rear end. In this situation, the officials would be looking to see if the player "pivots" on his/her rear end and/or attempts to stand up (lifting the rear end from the floor).